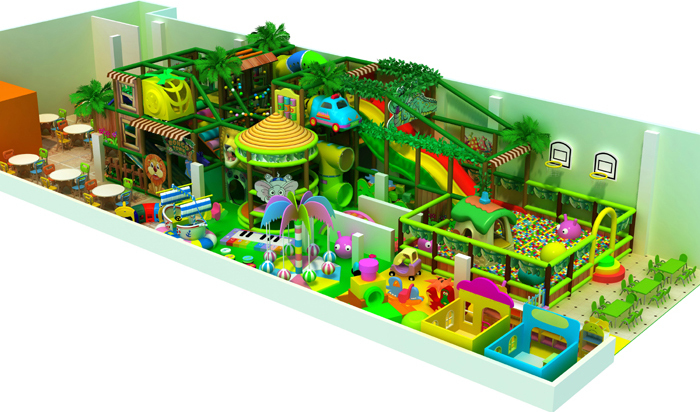 This indoor playground equipment design have separate play area for kids under 5 years old and over 5 years old. Small kids have power drivel carousal and soft play equipment, have ball pit, plastic house and kids furniture to play games. 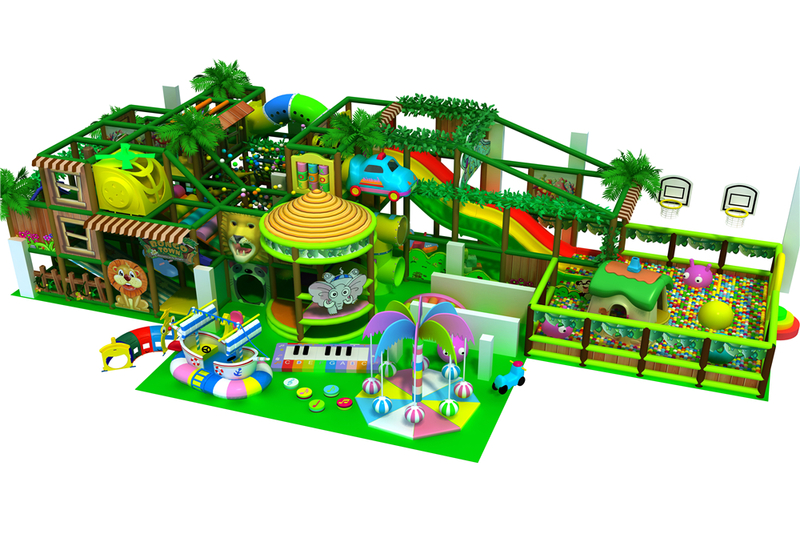 big kids have three level play structures to explore, inside have shooting game, spider tower, big slide and many tunnel and obstacle. On back and front also placed chair for rest or table game with their parents.